Anyway, the important thing about hitsumabushi in our case is that you don’t have to travel all the way to Nagoya to eat it. 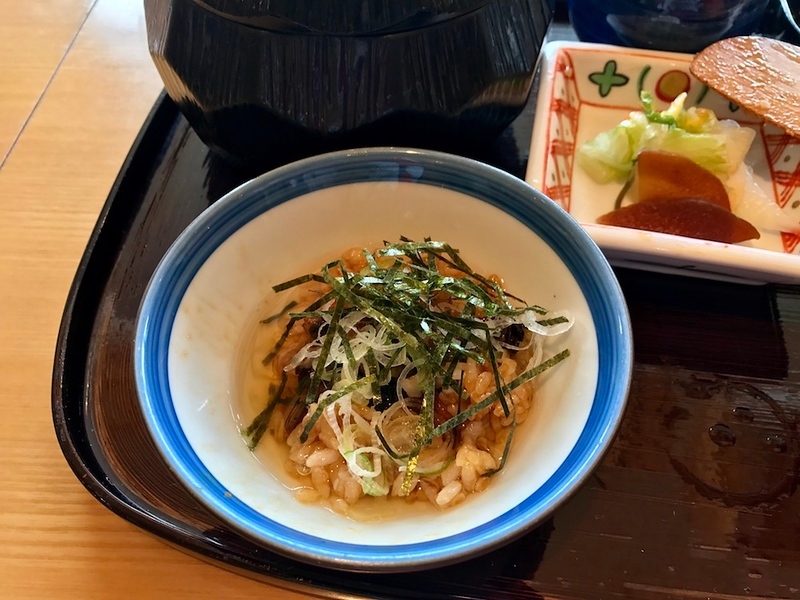 You can enjoy proper hitsumabushi right here in Tokyo. 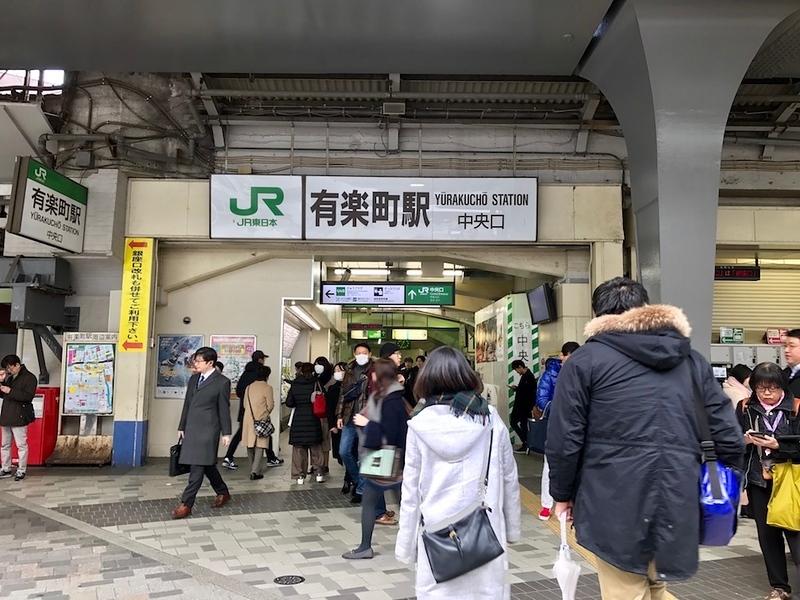 Here are some travel directions from Yurakucho Station. First, take the Central Exit from Yurakucho Station. You’ll see the 0101 (Marui) building in front of you. Walk straight towards and past it. 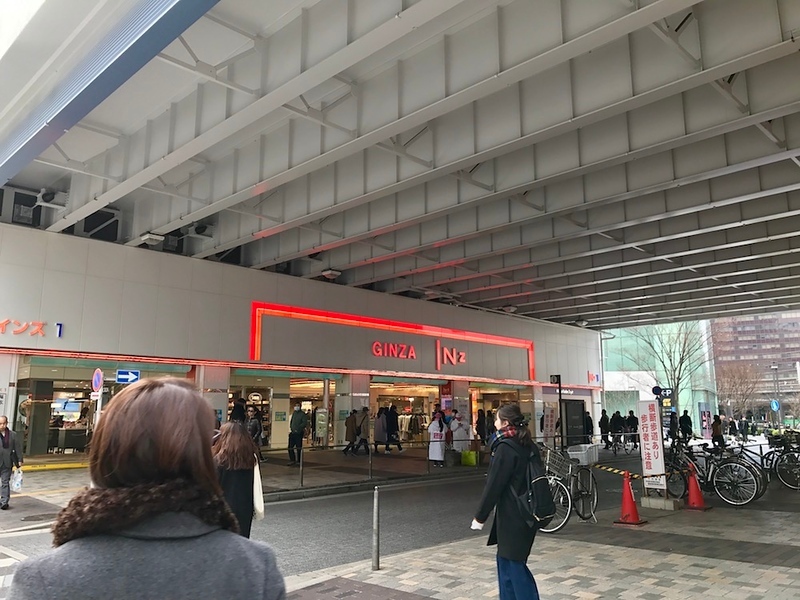 You should see Ginza Inz in the distance. Walk under the underpass, crossing to the left side of the road when you can. You’ll arrive at a large road. This is Sotobori-dori Road. 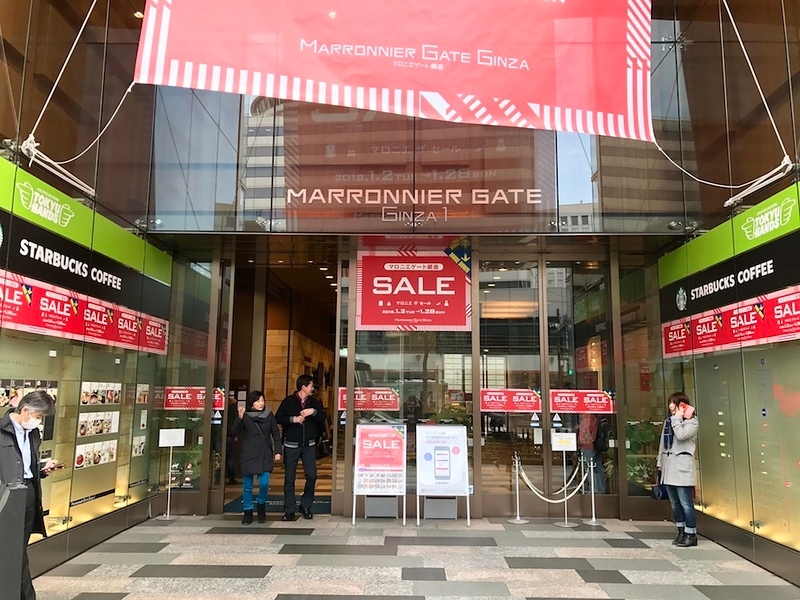 Cross the road, and you will find yourself in front of the Marronnier Gate Building, where Tokyu Hands is. Enter and take the elevator up to the 12th floor. When you exit the elevator, turn right. 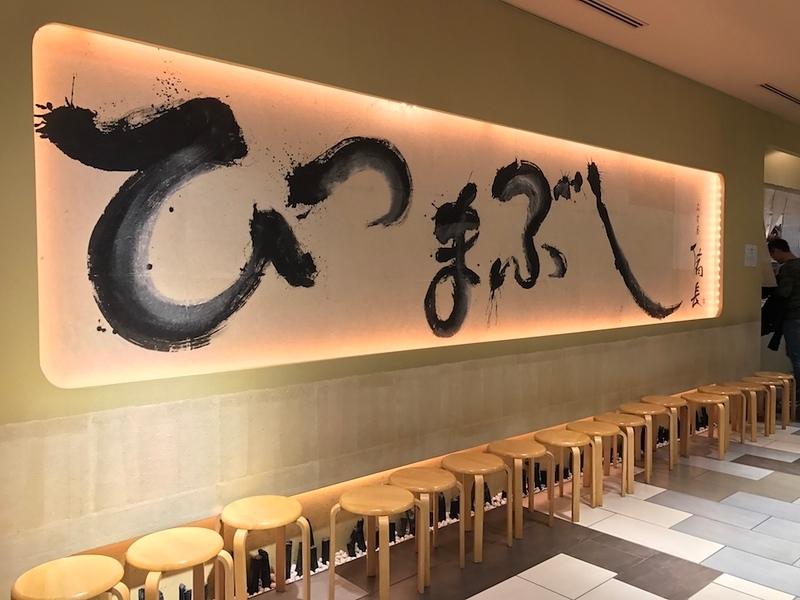 You’ll see a large horizontal framed calligraphy scroll hanging on the wall, with stools lined under it. You’ve found the restaurant. 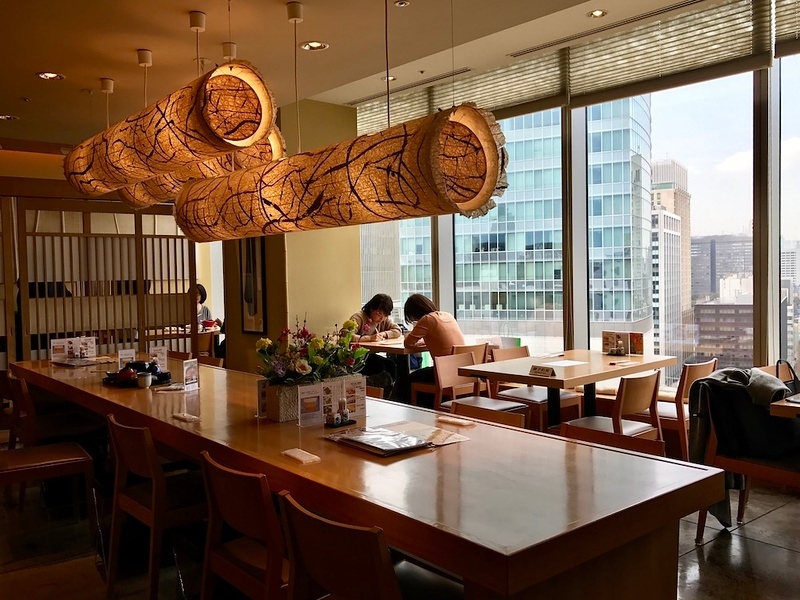 Hitsumabushi Bincho Ginza is the Tokyo outpost of a famous Nagoya restaurant specializing in - you guessed it - hitsumabushi. 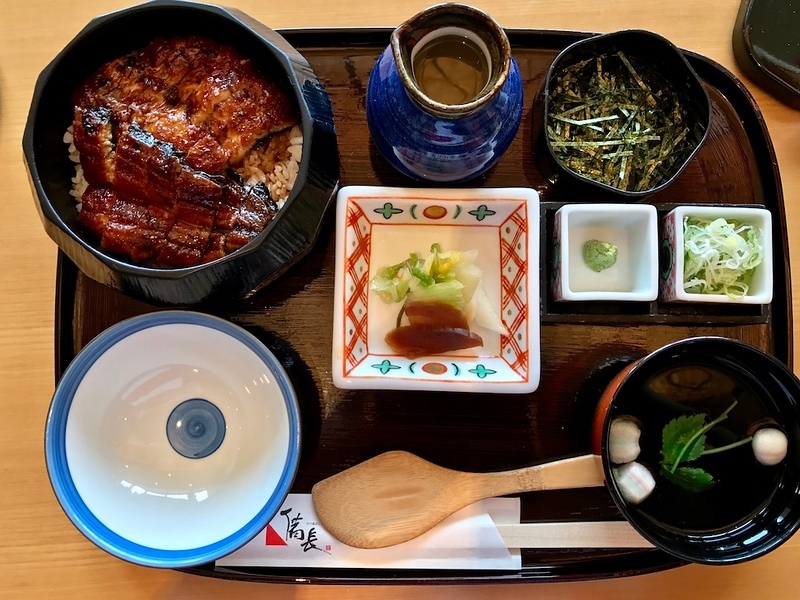 In terms of pricing, it’s a little more upscale than average, but good unagi doesn’t always come cheap and the quality is entirely worth it here. I visited at 11:30am on a Saturday and was seated immediately, but it might vary according to the day. They do take reservations, so if you have a larger group this is something you may wish to consider asking your concierge for help with. 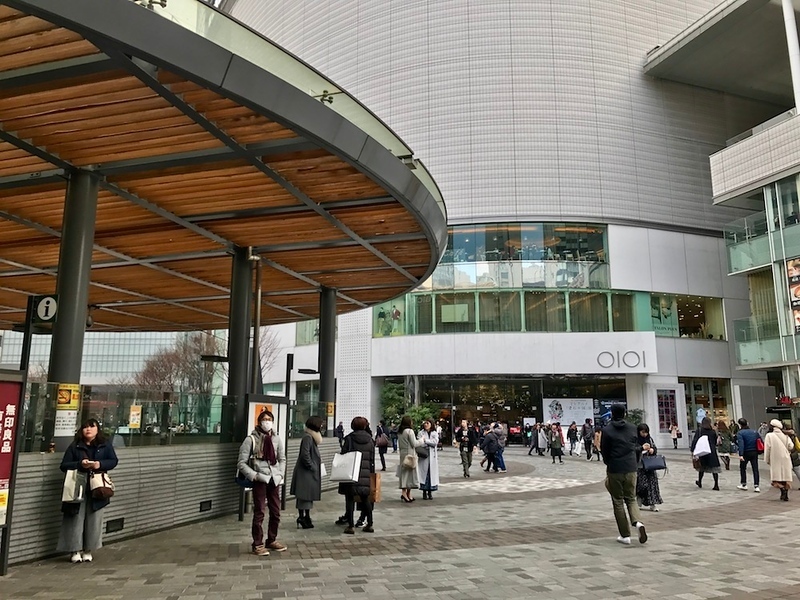 Most department store buildings dedicate their upper floors entirely to restaurants and the Marronier Ginza building is no different. You have lovely natural light flooding in, and a view of Ginza outside. There are many things you could order on the menu. But you should order what they’re famous for - the hitsumabushi. The primary difference is the amount of eel you get. I went for the least expensive option. When it comes to eel though, if you love it, you should splurge. I certainly would if I were only traveling to Japan once. Round one: try the eel rice as is. The eel flesh is lightly blistered, charcoal-kissed. It's tender, but still has a little integrity. The eel itself is not over-sauced, which is a common crime at cheaper establishments. There's just enough sweet-salty tare sauce on the rice. Sprinkle on a little sansho pepper (a fragrant, numbing pepper) from the porcelain container tableside. Round two: add some condiments. You have paper-thin rings of Japanese negi, which taste like a cross between a leek and a scallion. There's also wasabi and strips of nori seaweed. Round three: make an una-chazuke. 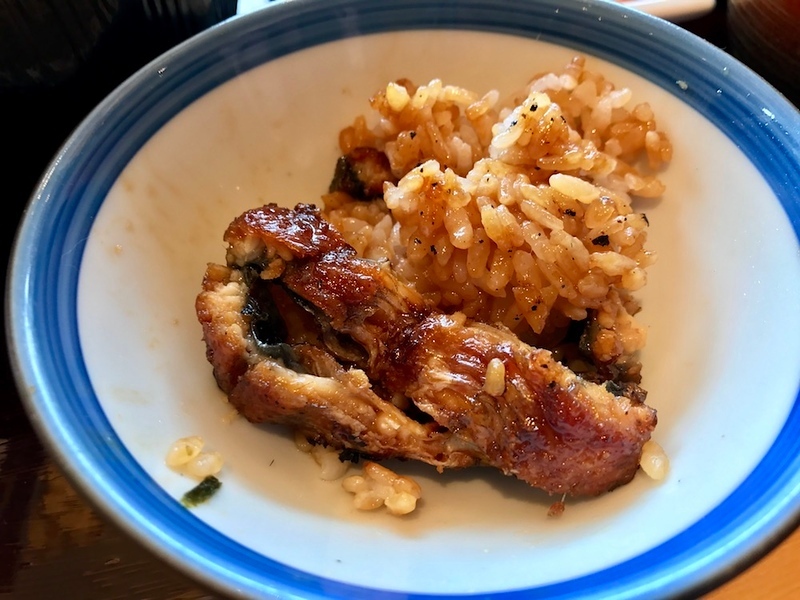 (O)chazuke means tea rice, and it's such a great, comforting dish. You literally pour tea or broth over rice, and add toppings of your choice. Broiled eel chazuke is probably one of the more luxurious ways to enjoy this dish. 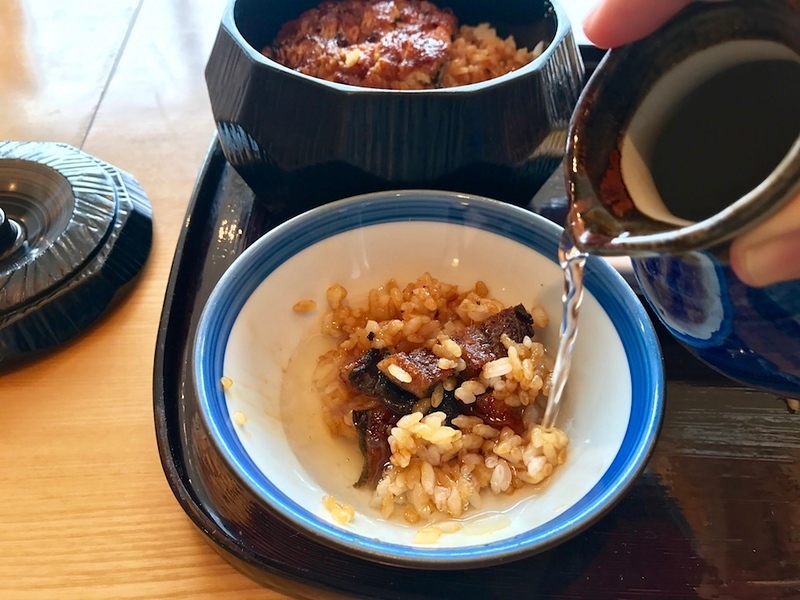 Pour the broth - which is in the round-bellied vessel - over a small portion of rice and eel. Scatter some condiments on top. Eat. The broth turns light brown, taking on an additional smokiness. 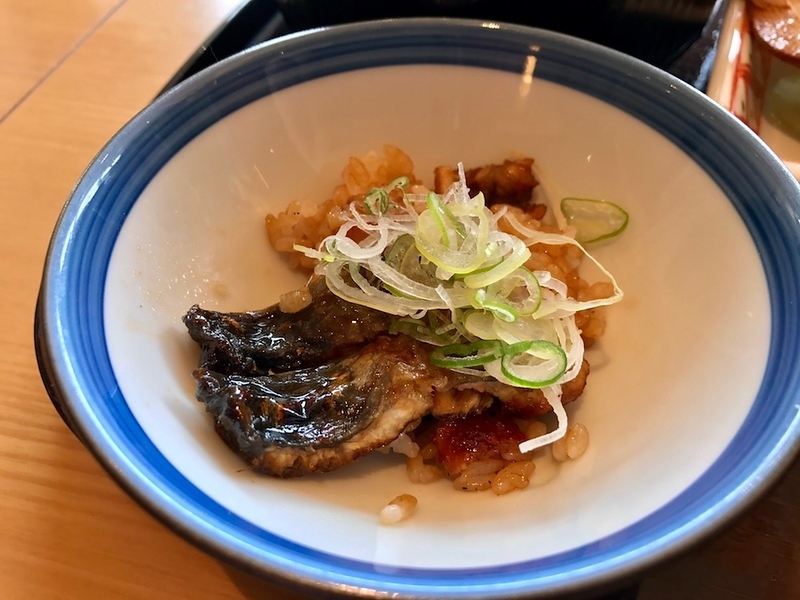 The eel somehow becomes sweeter, the slightly crunchy surface moistened by broth - all of it becoming something greater than the sum of its parts. I like eating this in small portions so that it's always piping hot. Round four: finish with your favourite style. The decor here also has a definite eel theme to it. 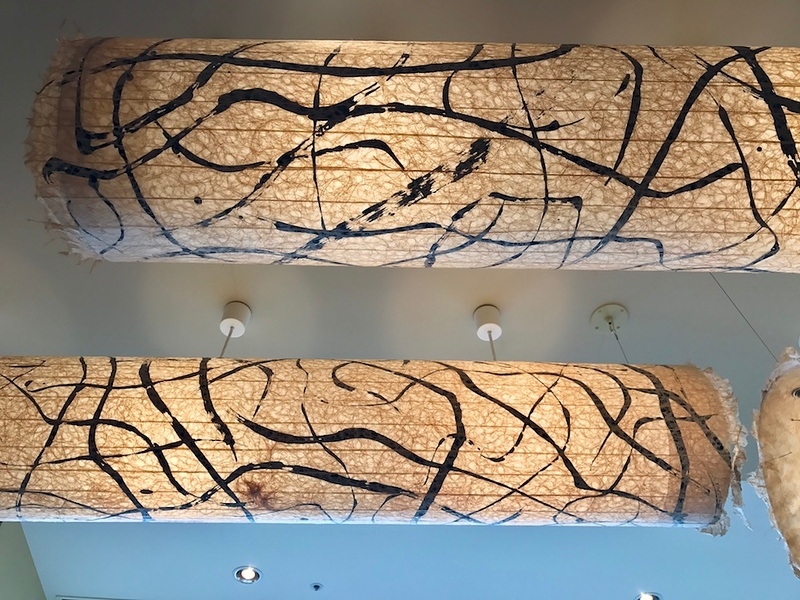 The tubular lights above the central table, for instance, are covered with ink swirls resembling a writhing mass of eels. There's also a framed piece of calligraphy: a bold, powerful, vertical streak of black ink, like... an eel. 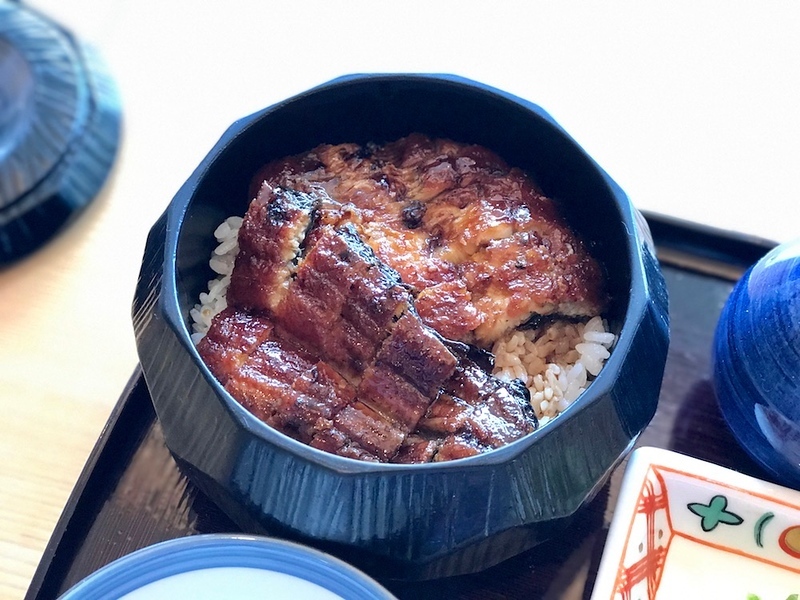 If you already love unagi donburi (eel rice bowl), the next step is definitely trying it in the hitsumabushi style. 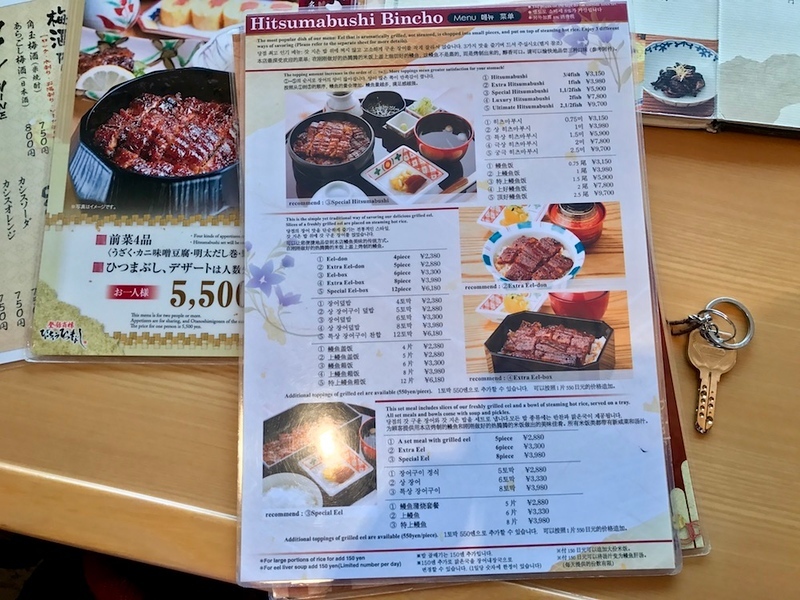 Hitsumabushi Bincho in Ginza is central, accessible, and won't break the bank. *Opening times may also vary on public holidays according to Marronier Ginza's schedule. 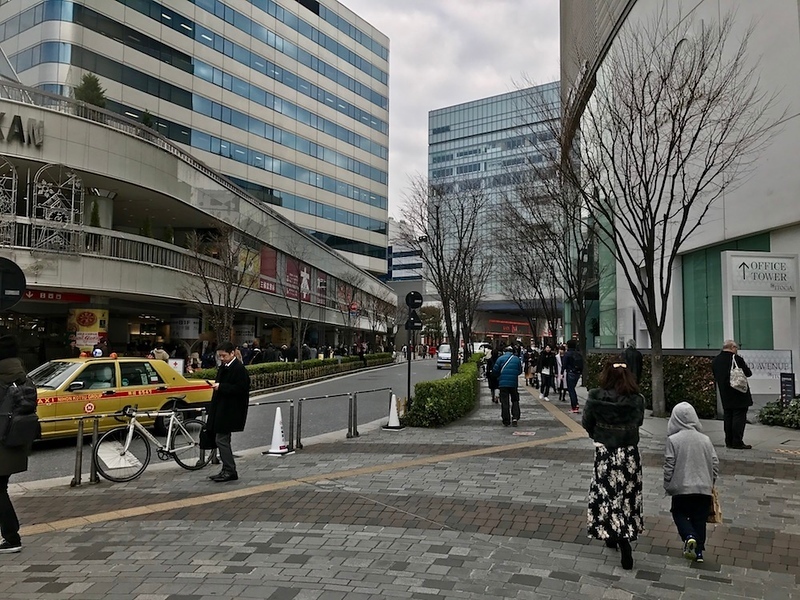 Hitsumabushi Bincho is located in Tokyo's Ginza district. 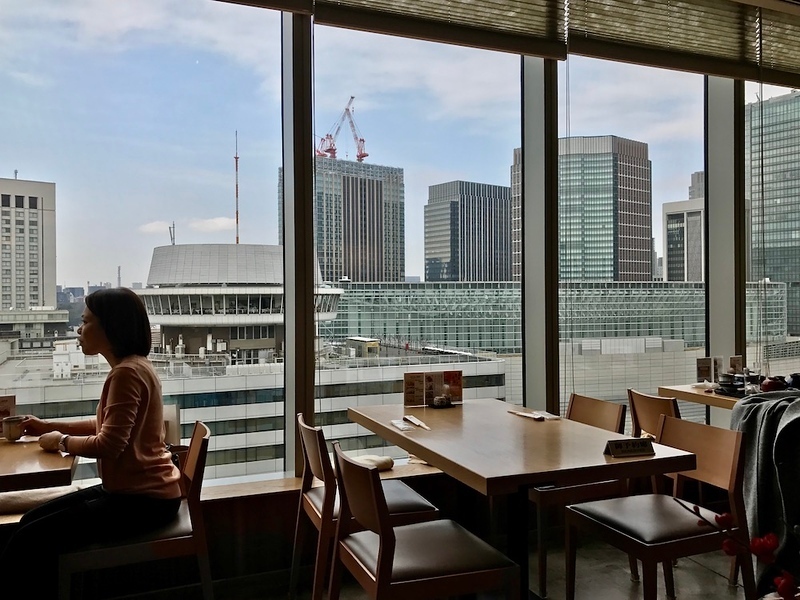 See our complete list of things to do in Ginza, including places to eat, nightlife and places to stay. See all recommended places to eat in Tokyo where you can mingle with the locals.